There's magic to be found inside those powder-blue Prada shoe boxes, and we're sure anyone would love to find these sandals upon lifting the lid. 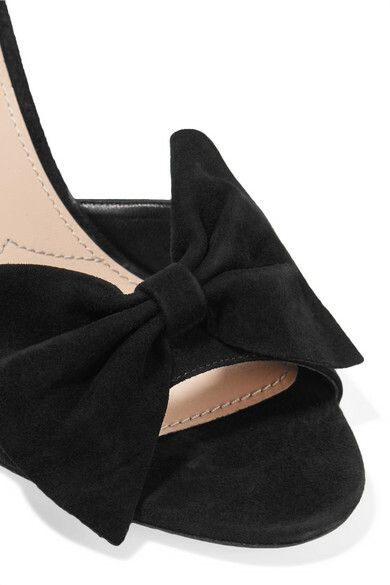 Set on an 80mm stiletto heel, this pair has been crafted in Italy from velvety suede and has a peep toe that's embellished with an oversized bow. Wear them with everything from cropped pants to dresses. 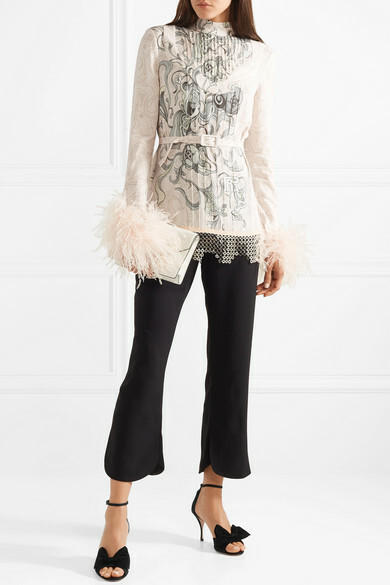 Shown here with: Prada Pants, Prada Blouse, Prada Shoulder bag.